Genuity and Personal Branding. Do they co-exist? I have been interested in brands since the early 90’s, when I studied my first degree in Advertising, Media and Marketing. I remember writing about the importance of brand consistency and use of strap lines, using the examples of NIKE ‘just do it’ and Cadburys Caramel, where one should ‘take it easy’. More recently, I have focused upon personal branding and in particular, the use of Story. I have engaged in many discussions, both on and off line, about personal branding and I have not as yet been able to reach a comfortable conclusion. For entrepreneurs and business owners working in the ‘helping’ professions (coaching, mentoring, therapy, training), personal branding is perhaps inevitable. The old adage that people buy from people they like is central in this instance, especially if what is being bought are the personal skills of the business owner. How can one not engage in personal branding, when people are engaging and investing predominantly in the person? In fact, sometimes people convince themselves that personal branding doesn’t matter, that it’s all about the business brand and that the two are separate. I’ve heard some compelling arguments for this and yet I still am not convinced. A business that is borne from an individual, that they have given ‘birth’ to, will invariably carry the traits of it’s parent. Some of this may be conscious and some may be unconscious; in much the same way that we have a nature/nurture dynamic in human beings, so too in our ‘brand-child’. As such, I struggle to let go of the notion that personal branding is synonymous, when it comes to entrepreneurs and small business owners. Much of the discussion about personal branding seems to centre upon the tenet of congruency and whether a person is or should be telling ‘the whole-true-self and nothing-but-the-whole-true-self’, which has been further coloured by the popularity of ‘authenticity’ in business nowadays. I’ll admit that I am a bit of a truth seeker and can ‘sniff out’ what is meant in a message, hidden behind a glitzy bit of ‘good’ copy. In fact, it’s a bit of a bug bear of mine. If I believe that someone is being disingenuous in their presentation, in the quest for client procurement, inside I am saying “No, no, no, no, NO!”. I don’t think people mean to do it. They are selling a ‘lifestyle’, they may even have been coached to…..and after all, it is no different to the big brands on television is it…. ?…..encouraging us, through their advertisements to buy this, achieve that, be like them. In those instances, however, the illustration is depicted by an actor….or endorsed by someone, usually a celebrity, with the desirable qualities. This is where for me, the personal/professional interplay is illuminated. IF said celebrity engages in anything that betrays the desirable qualities, this is a risk to the brand. Often, said celebrity is eliminated from any association with the brand. Haven’t we seen this many times? 1) Pictures in the smart new car (or showing off anything) and implying that the entrepreneurial lifestyle led to its purchase, when in fact it was bought on credit. 2) Images of serene places where the ‘laptop lifestyle’ takes place but it was just one random day, not an ongoing experience (and implying that it is). 3) Offering ‘discounts’ when you have NEVER sold same product or service at full price (and probably never will). 4) Referring to ‘clients’ who have not actually ever paid you a penny (they are not your clients). 5) Presenting a lifestyle at a moment in time, then revisiting at a later date (when clients have been secured) and saying ‘hands up guys, it wasn’t quite like that, let me now tell you how it really was’. Ok, so this may become part of YOUR success story but what of the people who believed what was presented at the time? These are five examples that I can think of – if I thunk hard enough, I’m sure there would be more! The big question is, does it really matter? Do we really care? Am I being too nit-picky? After all, no one is lying, are they? It’s no different to what they do in commercial branding, is it? In commercial branding, we are not expecting to see the behind the scenes drama, are we? We WANT to see the good stuff. We don’t want to see the blood, sweat and tears that go into the products, do we? We want to see the glamour, to be taken to a place where anything is possible, don’t we? Even when we know that reality has been sprinkled with some magic dust, even when we are established cynics, we know the game and we (somewhat) happily play along…….don’t we? I am not sure that I am any closer to a resolution here, almost 1,000 words later (one of my longer blogs). However, I do feel better, having got a few things off my chest and onto paper….so that next time a ‘branding’ debate takes place, my opinions are clear, even if my position is not. How I’ve enjoyed the last eighteen months. I feel as though I have been on an adventure….a kind of reflective luxury cruise around this land called ‘Me’. Actually, under the theme of ‘Working with what’s in my hands’, I have illuminated corners and uncovered some little treasures and allowed gems to sparkle. I have declared God as my Director and He has lit this wonderful guided tour. I am now so much clearer about where I want my focus to be and who I can be of service to. I am also more than happy with the diversity of the people I serve. ConsultAChameleon can now really step forward in all of it’s technicolour glory….being what it needs to be, to whomever it needs to be. It’s so exciting. The Heart Flow Business Growth programme is my main space as we head into 2016. I cannot wait to start helping people to develop their inevitably bespoke, heart-flow approach to building their business ventures. Helping people to work with what’s in their hands is a real passion. This is a membership programme, so hop on board. By doing so, members have discounted and gratis access to other ConsultAChameleon programmes and services…it’s a no -brainer. Building your business involves developing leadership skills…..But not just any leadership skills, some heart-led, authentic ones. This is crucial….leadership has very little to do with power and everything to do with respect. Come and join me on my Heart-led Leadership Programme. Whoever and wherever you are in your business and life journey, gaining skills and confidence in public speaking is an important tool for anyone’s toolkit. I have many years’ experience as a speaker, trainer and lecturer….I can help you express the fullness of who you are. Personal Development through my ‘Grow Free From Shackles’ programme, offers a life-changer for people wanting to let go of those ‘things’ (experiences, memories, habits, attitudes) that are preventing them from stepping into themselves and being who they really are. Utilising the fabulous C9 cleanse programme, I offer people wanting more than external change, a 9 day Grow Your Colours Programme in addition to the cleanse, to really maximise the transformation! The Chameleon Collective is a powerhouse committed to challenging myths around mixed race ‘identity’, educating and motivating and inspiring people to develop a new mindset. Watch this space for conference and seminar dates. ConsultAChameleon Copy Creation (and proof reading/editing) can help move ideas from your mind’s eye, to the public eye. Submit those bids and tenders with my help; get that book written; review that webcopy….don’t be let down, when you can be elevated! To disappoint, to surprise and to blow my last chance….. Seems like I’m upsetting a lot of people nowadays. I receive so many (so many) emails from people telling me that ‘frankly they’re surprised’, or that they are disappointed; then there are those who threaten to leave with a melodramatic ‘that’s it, I’m leaving…’ plonked in my inbox. And it doesn’t end there, there are those who implore that I help them…..’I really need your help, Joanna’ shows up to tempt me into exploring what it is that has led to such a request. Sometimes the pleading, cajoling, chastising and ultimatums actually do glean a response from me…but I admit that more often than not, they don’t…I don’t. It’s a shame because I know from my own experience of being at the beginning of the funnel building process, that this is pretty standard and even those that have applied the rules of ‘writing copy that sells’ fall into the filter that my cynicism has created. It’s a useful process to reflect upon being the recipient of what I could potentially create myself…..and has exposed me to consider what I do not want to convey of myself or my business. I’m also aware that I am the real culprit in this. Happy to sign up for the freebie that led to the emails in the first place and now here I am blogging away about it! It’s not intentional….and I do know that what is most likely on offer is of interest to me…I don’t just sign up for anything. It’s more that stubborn child in me that will only go for something if it appeals and I choose to venture there. Catch me in a particular mode and the slightest whiff that I am being pushed into a corner, brings that child to the surface and I stubbornly scroll on by. That and the lack of time I have to trawl through chunky propositions before reaching the part that tells me whether I’m actually interested. With this in mind, it would probably work better if the message in the subject box was much more direct….something like: ‘50% off that programme you need! Joanna’ or ‘read on for the book that will change your life’. In fact, scratch that….I think that one of the irritants is the level of familiarity. Referring to me by name, as though we are friends…when in reality, it is only because I signed up for something that my first name is even in the equation! I don’t mean to be harsh…. In reality, this resistant mindset was initiated more than two decades ago. Even though I have a sound degree in Advertising, Media and Marketing, I chose not to pursue a career in that field. I was left feeling that there was something disingenuous between me and the professional arena that I couldn’t seem to navigate or consolidate. However, I kind-of-always-knew that I’d revisit this area of knowledge and I also always knew that this wouldn’t happen until I found my voice. I guess that time has come and what better place to express it than via my own blog…? Anyway….back to the subject. There’s no doubt that automation is incredibly useful and of course creating a message that reaches the masses yet maintains the required intimacy is no mean feat….hence the option to apply AB testing. Hmmmm…..almost instantaneous with the thought about any type of ‘testing’ is that feeling in my gut….the one that led me to write this blog. Yet to function in our ever evolving technoworld, I need to engage with this. Work to do without a doubt. Stories. Stories. Everywhere. I enjoy a good story and have to admit that reading and hearing about someone’s rise from a rocky road to smoothdom is somewhat inspiring. Yes indeed…it can make one feel as though anything could actually be possible, in spite of the challenges that life can throw our way. So…I get it. I get that use of story is a valuable tool for inspiring and motivating others. I can see the benefit of sharing and also the implicit authenticity that accompanies this approach. There seems to have been an increase in people stepping forward and claiming themselves via story sharing….to the extent that it is becoming an expected norm in certain arenas. Have you noticed it? I’ve noticed that this increase seems to have coincided with the rise of a particular entrepreneurial activity, where the individual is the brand….creating enterprise by working with ‘what’s in their hands’. Now…I’m a fan of this ‘working with what’s in one’s hands’….honouring our bestowed gifts and living through our purpose. Hallelujah. I do believe that there is a caveat to building a brand around ourselves though….especially where our story is placed explicitly at the centre of this. I’ve heard enough inspirational and motivational speakers share their story to know that one such downside is when even they appear fed up of sharing. If I take this into my therapeutic knowledge for a minute, I would add that when we are ‘in’ our healing process, we need to tell our story….we feel compelled to. Then there is a transitional period, where we don’t actually need to tell it…but feel that we need to tell it, just to ensure that people understand where we are ‘coming from’. After that, we can feel that our story is holding us back…a bit like a mill stone….hence the undertone of ‘fedupness’ I referred to earlier. I also believe that to an extent, the more we tell our experiences of tribulation and pain, it retains a level of ‘life’ within us and this is not always healthy or productive. Let me be clear. I am not saying that this is the case for all people who use their story to inspire and motivate others…but I do think it happens. And I think it happens more often than people care to (or dare to) admit. The potential ‘danger zone’ is when a person’s brand and their associated professional identity (and income) is built upon the foundation that their story provides. Our relationship with our story…our experiences…our past, can change over time. Hence, the brand that has been created needs to be able to grow and change too. It needs to be able to release itself from it’s heritage if it chooses to….and not be trapped by it’s past life (or lives). Please excuse me for referring to a brand as though it is alive, it’s just that at some point, a brand does develop an identity and this is alive and three dimensional in the minds and sometimes the hearts of it’s supporters, comissioners, competitors and purchasers. More so, when the brand is a reflection of an individual. 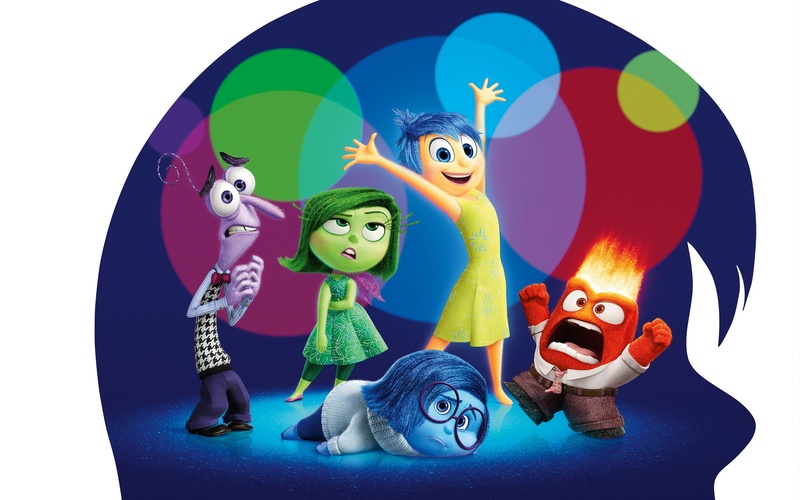 Grow Your Colours….inside out…..thanks Disney Pixar! I have long maintained that ‘the work’ we need to do on ourselves is an inside job. We can buy ourselves some temporary self esteem boost (a la retail therapy) and perhaps seek solace in other people, which will only last as long as they remain a ‘shiny object’. An element of growing our colours involves self acceptance. In order to be our wonderfully and uniquely technicolor selves, we need to be able to self-accept. This includes all of our shades and hues…the good and the great and the not so good too. Talking of colours…what a wonderful film the latest Disney Pixar movie is. The yellow ‘joy’, the blue ‘sadness’, the red ‘anger’ and the purple ‘fear’….all co-existing and in fact, the main source of conflict was when one tried to suppress the other. The successful manoeuvring within the story, was when all were allowed to be…to express themselves. What a great way to tangibilise our emotions and feelings, than by giving them a colour….indeed this is nothing new…I remember years ago that we used a form of creative art with young people, who were living in a therapeutic community. Red was the dominant colour in most of their work…..not to say that anger was the main feeling….just perhaps the default expression. How often can other emotions be expressed as anger? I digress. The main point of this blog is the relevance of working from the inside out. The importance of not pleasure seeking external verification or gratification, in place of internal reflection and rectification. Incidentally, have you noticed how when a person is content, this shines from within them,, seeping through their pores and is almost palpable to those around them? This cannot be feigned or fabricated. Which is why I will always champion authenticity. To be our authentic self, personally and professionally, we have to start on the inside….growing and accepting our colours….all of them. …….I really do. In spite of having secured a BA (hons) in Advertising, Media and Marketing and a complete understanding of the importance of target markets, I struggle. In fact the basis of consultachameleon is of being non-specific, non-targeted. Certainly in the field I am interested in, that of personal and professional development, the concepts I promote apply to everyone. Everyone. Now that’s a somewhat broad and pretty ill-defined sector. I can sense that this post may appear contradictory….after all, as someone who helps people to develop their brand, to be goal focused and to be clear about who they want to be of service to ……. what am I playing at, bemoaning target markets? Please know It IS ok to know sometimes……. In the UK, there is a deep seated culture of not ‘blowing one’s own trumpet’. This is accompanied by a polarised reluctance to admit when we do not know. In personal development groups, I have spent a lot of time helping people to both recognise their own talents, skills, worth and contribution and also to know that it is ok to not know sometimes. To not know does not mean that we are any lesser than….it doesn’t mean that we are valued any less. It’s ok to not be ok sometimes and it’s ok to not know sometimes, this doesn’t need to be anything more than that. In fact, it’s the ‘making more of’ that generates anxiety and discontent. Sometimes, we just need to accept….take a pause if necessary…then move forward. I am drawn to revisit these mantras of knowing and unknowing. The trigger is a realisation of my ego speaking to me on a regular basis, listening to ANother who is presenting a show, or speaking, or lecturing, or in their written word and saying to myself ‘I know this’. In fact, over time, it has become a standing joke between myself and my therapist friend (Kelly Solly of KTS counselling). 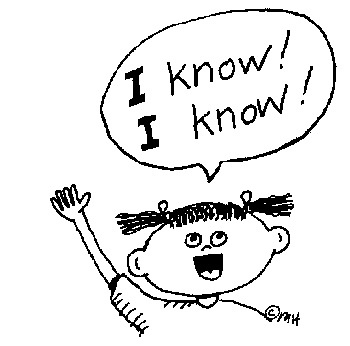 Ironically, another of my mantras is that you can’t unknow what you know….and guess what? Now that I know I do this ‘I know’ thing….I always know I’m doing it. As ever, I’ve gone deeper with this. There was a time when I needed to know that I knew….because I all too often felt like I didn’t know. In fact, I landed at University, aged 21, having left school at fifteen years old, wanting to run a mile because I felt like I didn’t know anything. I wasn’t rich, I wasn’t posh and I wasn’t well educated….so what was I doing there? (Subtext: this was at a time when only certain members of society headed for a degree programme…not people like me, I believed). I sat in the first seminar and listened to the academic, I listened to the students, I listened to the questions and I thought ‘I know this’….not the facts necessarily..but I GOT IT…I got the gist. I could make sense of it. I knew it. Unexpectedly, I felt like I was in the right place. Back then, I needed to feel that. Now….as a grown woman of significant life experience, professional and academic stature, why do I still say ‘I know this’?….I don’t need to…in fact because it’s my ego and I’m moving with spiritual purpose, it’s a thorn in my side…. Going deeper still, I am taking this blogging opportunity to make peace with this. ‘I know’…yeehaaaa, let me do a little inward jog and click my heels. Hallelujah, it’s been a long and sometimes lonely road. And sometimes I don’t know…yeeehhhaaaa….I’m alive, still learning, still growing, hallelujah. It’s a win-win situation. So, my dear ego….thanks for gatekeeping and trying to balance my multiplicit perceptions all of these years but you can relax now. It’s fine. I’m ok with knowing….and I’m ok with not knowing too.